Monday night I sent out this tweet. Favorite thing tonight? K-Rod, Broxton, Smith, and Jeffress huddling after the game, presumably discussing their outings tonight. It wasn’t the first time I saw Francisco Rodriguez more or less holding court. The other three high-leverage pitchers were huddled by the veteran closer’s locker (to be fair, the lockers of Will Smith and Jonathan Broxton aren’t exactly far away from that of Rodriguez, and Jeremy Jeffress need only come down a handful himself) and were locked in a pointed discussion. That is to say that this looked to be more than your light-hearted postgame celebratory chat. Tuesday, I decided to confirm my presumption and get a bit more insight from some of the men involved and find out what kind of leader the bullpen has in K-Rod and what kind of advice can be gleaned from the veterans who have combined to pitch in parts of 26 MLB seasons. I first asked lefty Will Smith, the possessor of the Slider of Death, why it’s valuable to have those guys around him. For the record, Smith’s locker is between Broxton’s and K-Rod’s. But what about the fact that they’re right-handed and he’s a southpaw? Does that matter in breaking down hitters? Smith offered that it doesn’t. For his part, Jeffress echoed much of Smith’s sentiment when I asked him what exactly they talk about in those mini-meetings. Game plans are all well and good, but when it comes down to it, each guy still has to go out there and execute. Jeffress said that the veterans show faith in the less-experienced to perform every time it’s their name that’s called. Again, this “think tank” approach is not new to a clubhouse featuring Francisco Rodriguez, nor is it closed to just the four men who got together yesterday. I’ve seen him talking to Brandon Kintzler after games last year, in particular there was a game where Kintzler struggled pretty badly and it looked to me as though Rodriguez called him over to discuss the outing. K-Rod was talking to him about pitch execution and how pitching Kintzler’s game to the best of his ability would be good enough to get the job done. Suffice it to say, it has piqued my curiosity a few times over the past couple of seasons. After a particularly rough outing for Broxton it felt right that he would be leveraging the experience of Rodriguez, if for no other reason that K-Rod had a much smoother outing the same night. So finally, I went to the man himself to understand where this activity came from. I had more presumptions. K-Rod confirmed them. Rodriguez went on to say that he makes sure he talks to anyone in the bullpen after a game in which they pitched. If it’s a good outing, they talk about it. And if it’s a not so good outing? That’s right — they talk about those too. Pitchers succeed in baseball more often than they fail. After all, even the best hitters are put out more than 65% of the time. But this approach that I suspect happens in far more places than Milwaukee is no doubt a key to those successes and to overcoming any failures. Preparedness is half the battle in baseball. For a clubhouse with Francisco Rodriguez in it, that preparation is an ongoing, recurring, everyday thing. Michael Joseph Strong is a 26-year-old left-handed pitcher from Minnesota, by way of Oklahoma State University. He was drafted three times as an amateur in three consecutive years. The Chicago White Sox drafted him in 2009 in the 25th round. The Oakland Athletics chose Strong in the 22nd round in 2010. Finally, the Brewers selected as signed the southpaw as a 10th round selection in 2011. Strong pitched as a rookie in 2011 and had a rough go of things. In six of this 15 appearances, Strong allowed at least 4 ER, with his worst being an 8 ER outing on August 31st of that year with the rookie ball affiliate Helena Brewers. Strong made 13 starts in those 15 games in 2011 and finished with a combined 6.10 ERA. 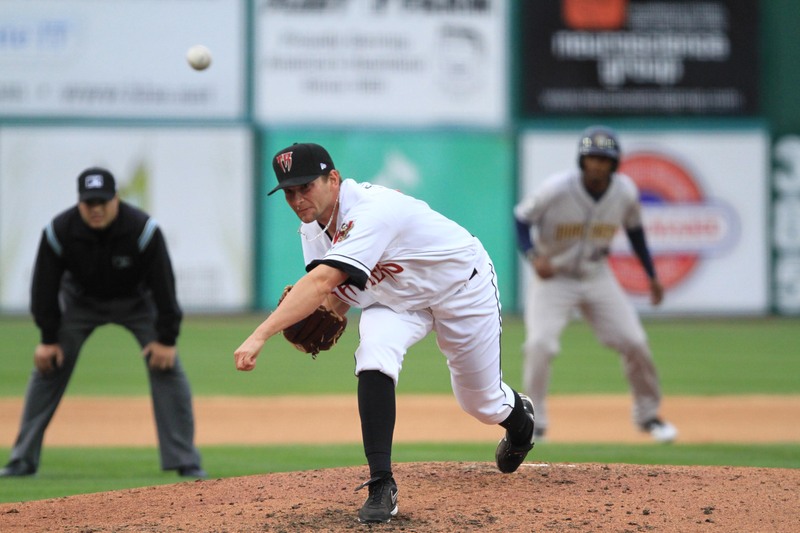 The next season would find Strong pitching for the Class-A affiliate Wisconsin Timber Rattlers of the Midwest League. 21 regular season games, zero starts, 2.76 ERA. Strong didn’t get going in 2012 until May, but it was enough to earn himself a ring as the Timber Rattlers won the Midwest League Championship! Perhaps the limited games is partly why he repeated Class-A in 2013. 25 games, eight starts and 87.0 IP for Strong in 2013 earned him an off-season promotion to the Class-A Advanced Brevard County Manatees. It’s 2014 that really paved the way for the situation Strong finds himself in today. That situation, of course, is having been added to the 40-man roster and attending his first legitimate big league spring training. In 2014, as mentioned, Strong began his season by breaking camp with the Manatees. There he pitched in 30 games including six starts, compiling a 2.50 ERA in 75.2 IP. He would strike out 78 hitters while walking 23 and allowing 56 hits. Strong was used in a variety of roles as has been his M.O. to this point in his career. It was a good season for Strong in the Florida State League. With an eye on sending him to the Arizona Fall League (a proving ground of sorts for up-and-coming players), the Brewers promoted Strong to Class-AA Huntsville for one appearance. He would pitch 4.0 hitless and scoreless innings in relief, allowing one walk while striking out six. After that, Strong would be ticketed for Arizona where he made 11 more appearances, totaling an additional 13.2 IP. Strong was quite good in the AFL, pitching to a 1.98 ERA (3 ER) while striking out 14 and walking three. Then it became decision time on the lefty. Was he to a point in his development where it made sense to protect him from Rule 5 exposure? The Brewers lost another left-hander recently in Lucas Luetge when the Seattle Mariners plucked him in a Rule 5 Draft. Strong’s case was solid that he deserved at the very least another season of minor league ball in the Brewers system to see what they really have. 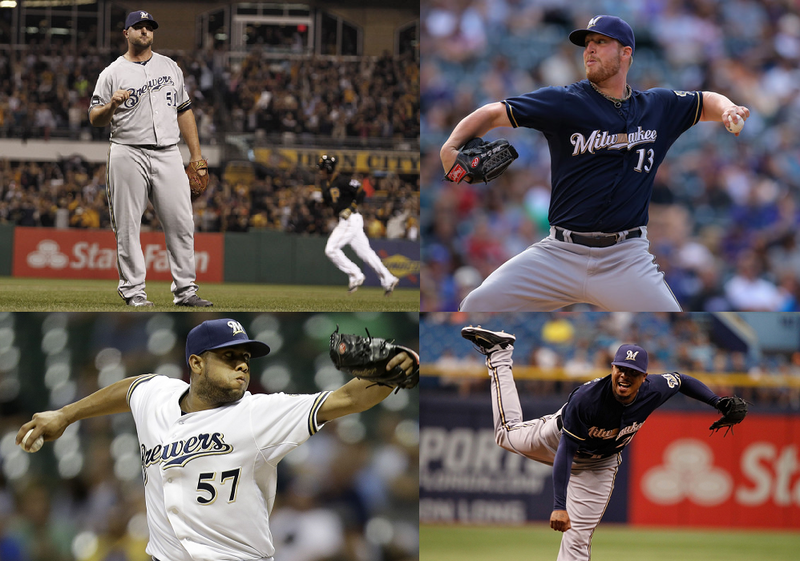 Looking ahead to 2015, Strong has an outside chance to impact the big league bullpen out of camp. After carrying four southpaws in their 2014 bullpen at different times, the Brewers currently only have setup man Will Smith coming back in a similar role. And despite Ron Roenicke saying in previous years that he doesn’t feel it a necessity to have even one lefty, I think he enjoyed being able to play matchups when situations warranted. Strong probably isn’t ready for primetime just yet as it relates to full innings of work for Milwaukee, but as a situational lefty who could pitch his way to more responsibility, there’s opportunity. Still, all likelihood has Strong starting 2014 with the now-based-in-Biloxi Class-AA affiliate, the Biloxi Shuckers. Give him time there, move him up to Class-AAA Colorado Springs when he’s ready, and just maybe Strong ends up contributing down the stretch in September when the Brewers are hopefully looking to save some innings on Smith’s arm. Bottom line though, Mike Strong is one to watch in 2015. If the Brewers front office thinks he’s worthy of a 40-man roster spot, he’s worthy of our attention.